We know that Kenny Chesney has a love for New England, the birthplace of No Shoes Nation, like no other, despite being a Tennessee native. However, we also know that he has a love for the Virgin Islands, specifically Saint John, that runs deeper than most. It’s a place where he spends most of his off-season, and a place that he calls his second home. When Hurricane Irma hit the islands in 2017 and nearly destroyed everything, Kenny felt the brokenness that engulfed the ‘Saints.’ He decided to write about it to try and heal the wounds that were left upon the islands, the amazing souls who live there, and even the ones within himself. In an interview with Billboard, Chesney stated “I’ve spent the majority of my adult life walking those beaches and hanging out in those bars and writing songs. All of a sudden, it was a place that was… very broken.” ‘Songs For The Saints’ is Chesney’s 17th studio album, but probably his most heartfelt and reflective. In this 11 song album, he pays tribute to the lives lost and the beautiful spirit that lives within those islands. 1.) ‘Songs for the Saints’ – Written by Kenny Chesney, Tom Douglas, and Scooter Carusoe. Impression: To open the charity album, Kenny goes with a gospel sounding intro. It features an acoustic guitar, paired with Kenny’s strong, yet somber voice. The chant-ridden single motivates the devastated people and it draws all the attention to the fact that this album will be based around the “saints” – standing for both the islands and the people that inhabit them. 2.) ‘Every Heart’ – Written by Shane McAnally and Josh Osborne. Impression: Bringing his beachy vibes back, ‘Every Heart’ encompasses the steel guitars and drums that scream the sun and the sand. Chesney describes that every heart is an island – it will lead you back home, every time. He points out that most things in this life are based off of material things, except for the islands. They were created for us to admire and enjoy, much like resembling the heart of a person. 3.) ‘Get Along’ – Written by Shane McAnally, Josh Osborne and Ross Copperman. Impression: This song quickly became one of Kenny’s many No. 1 Billboard chart toppers. The single follows suit of Chesney’s song library with strong guitars cutting through the noise and a positive beat you can tap to. However, the whole song is set up as a call and response with a tribal, campfire feeling to it. Some can even say it resembles a little bit of John Mellencamp and older rock songs of that nature. It was the first single released off the album. Favorite Lyrics: Met a man wearin’ a t-shirt, that says “Virginia is for lovers.” Had a Bible in his left hand and a bottle in the other. He says ‘All you’re really given is the sunshine and your name.’ We both started laughin’ when the sky started to rain. 4.) ‘Pirate Song’ – Written by Kenny Chesney and Jon Randall. Impression: A strong guitar-filled intro takes hold of track four. ‘Pirate Song’ can be considered a song that embodies what Kenny feels while he is on his beloved island of Saint John. It describes the island life and what he yearns for year after year. Everything is much simpler there, and everything is at peace. Chesney says he wishes he was a pirate living under his own flag, out there on the ocean. 5.) ‘Love for Love City’ – Written by Kenny Chesney and Scooter Carusoe. Impression: ‘Love for Love City’ was named after the foundation Chesney started in order to support to U.S. Virgin Islands during their time of turmoil after the hurricane. Ziggy Marley is featured on the song which adds the perfect island rhythm. The single expresses that all the love that the islands have given to others needs to be given back to the islands during this time. They are a home, a healer, and a heaven to most. Fans can expect a complete island vibe to this track. 6.) ‘Ends of the Earth’ – Written by Ben Schneider. Impression: ‘Ends of the Earth’ is composed in a way that is resemblant of his smash hit ‘Somewhere With You’. It cuts deep into the listeners soul, and the strong instrumentals capture your attention. This song urges someone to travel out to the unknown and explore all the beauties that this Earth has to offer. Staying stagnant in one place is not what this life was meant to be – adventure to the islands and get lost in their danger and serenity. 7.) ‘Gulf Moon’ – Written by John Baumann. Impression: This song is reminiscent of the dive bars that line the island, the special stops that mark the piers, and all the people that filter in and out of the island’s best spots. All of these places are highlighted by the gulf moon that illuminates the sky. You can always count on it to be there, watching from above. 8.) ‘Island Rain’ – Written by Kenny Chesney and Mac McAnally. Impression: Track 8 brings a much more upbeat tempo to the serious, reflective album. It has soft rocker tendencies with hints of Tom Petty underlying. This song is about the healing powers the island rains have on a soul. 9.) ‘Trying to Reason With Hurricane Season’ – Written by Jimmy Buffett. Impression: Two of country music’s most iconic beach singers collaborate on this track that is the embodiment of island time. This song was originally written and cut by the great Jimmy Buffett, but Chesney later covered it for this album with Buffett as a feature. The name is absolutely fitting for this occasion, and these two island men coming together to stand behind some of the most beautiful islands is extremely respective. 10.) ‘We’re All Here’ – Written by Kenny Chesney, Casey Beathard, and David Lee Murphy. Impression: Another happy tune adds life to this album. This song explains that everyone on the islands are all there because maybe they all “aren’t there.” They all have a few screws loose, came on a whim or a prayer, and all have scars that make them who they are. These are the island people, and they’re all here. Favorite Lyrics: We ain’t closin’ down anytime soon. If you wanna come howl at the moon, we can always make a little more room. 11.) ‘Better Boat’ – Written by Travis Meadows, and Liz Rose. Impression: The last song of the album is a very relaxing one at that. It features the lovely Mindy Smith and her angelic back up vocals enhance the track’s calmness. The final song signifies the rebuilding of the islands and their people. What they have been through only makes them stronger, even if they can’t see it right away. Kenny Chesney’s ‘Song For the Saints’ is out everywhere now! If you’d like to donate to his charity “Love for Love City” you can do so here: https://loveforlovecity.org. 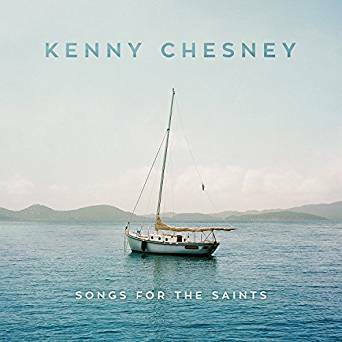 This entry was posted in Home page blog, Reviews and tagged #AlbumReview, #KennyChesney, #MckenzieNECM, #NewEnglandCountryMusic, #songforthesaints, NECM on August 1, 2018 by MckenzieNECM. Luke Combs has taken the country music industry by storm – perhaps by hurricane? The singer/songwriter continues to produce Number One hits, release-after-release. Maybe you’ve heard his No. 1’s- ‘Hurricane,’ ‘When It Rains It Pours,’ and his latest ‘One Number Away.’ Combs teases his fans over social media with acoustic videos of the countless songs that he writes or covers, leaving them completely enticed and wanting more. Well, he takes his fans’ wants/demands very seriously. He delivered a deluxe version of his first studio album ‘This One’s For You’ with five new songs titled ‘This One’s For You Too.’ Fans have been going crazy – perhaps beautifully crazy – over these new songs and we COMPLETELY understand why. 1.) ‘Houston, We Got A Problem’ – Written by Luke Combs, Randy Montana, and Jonathan Singleton. Impression: This is for sure going to be another No.1 single from Combs, hands down. The fluidity of Luke’s voice paired with the hard rock guitars is so powerful you can’t help but get absorbed by the sound. The chorus is pure gold that embodies the new modern country concept, while still maintaining the twang and burl in his voice that represents the bluegrass side. Y’all need to listen to this immediately. 2.) ‘Must’ve Never Met You’ – Written by Luke Combs, Robert Williford, and Jonathan Singleton. Impression: This is the perfect song about losing your soulmate and not being able to find that love again. In typical Luke fashion, the rock guitars and slamming verses keep the mood of the song rather rebellious instead of sad. He incorporates the cliche sayings such as “the grass is greener on the other side,” “what doesn’t kill you makes you stronger,” and “time heals everything” to show his frustration in the things he is feeling. 3.) ‘Beautiful Crazy’ – Written by Luke Combs, Robert Williford, and Wyatt B. Durrette. Impression: In the new Luke Combs sensation hit, the burly singer/songwriter slows it down a few notches and takes to a more acoustic guitar approach for this amazing ballad. Girls are swooning over this song because it takes on a whole new form of adoring your girl. The single highlights his voice in the best way possible and displays how versatile he can be. This single is on its way to becoming another No. 1 for him, as it sits at No. 6 on the Billboard Hot Country Songs chart. 4.) ‘A Long Way’ – Written by Luke Combs, Larry McCoy, and Sam Grayson. Impression: ‘A Long Way’ is reminiscent of the “good ole days.” Things seemed to last much longer and off of very little effort back in the day. It didn’t take much to have a good time and make the memories last. Combs does it again with another strong country-rock song that will make you want to jam out to it. 5.) ‘She Got the Best of Me’ – Written by Luke Combs, Rob Snyder, and Channing Wilson. Impression: In a different version than the acoustic one he released in 2016 off of the ‘Can I Get An Outlaw’ EP, Combs revisits this popular hit on his deluxe album. Luke writes about a heartbreak and how he deals with the pain through his music. His guitar takes the abuse and his fans listen to him pour his heart out about it. It has a much faster tempo, filled with rocker tendencies. If you don’t take the time to listen to Luke Combs’ five new songs off of his deluxe album, then Houston, we got a problem. Ok, seriously with all Luke Combs’ puns aside, this artist is definitely on his way to absolute stardom. We predict he will be selling out headlining shows, this time next year. Until then, keep your eye on him and the charts to watch his music to continue to climb. 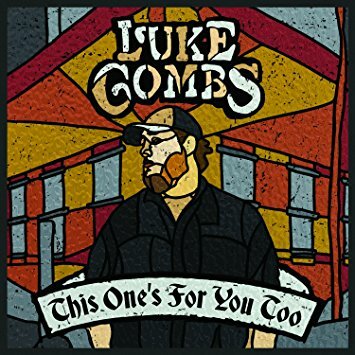 This entry was posted in Home page blog, Reviews and tagged #AlbumReview, #LukeCombs, #MckenzieNECM, #NewEnglandCountryMusic, #ThisOnesForYou, #ThisOnesForYouToo, NECM on June 12, 2018 by MckenzieNECM. Sam Hunt had taken a self-imposed break from music after producing his smash hit ‘Body Like A Back Road’ over a year ago. The single was the first taste of Sam’s sophomore year in his artistry after his well-loved debut album ‘Montevallo.’ The song did not disappoint fans, as it spent 34 weeks at the top of the Billboard’s Hot Country Songs chart – marking an all-time record. Now, fifteen months later, Hunt steps back onto the scene with his new single ‘Downtown’s Dead’ – a much anticipated wait. Hunt had set the tone for his new single with a series of Instagram posts. After wiping clean his entire account, the singer/songwriter solely focused on marketing his new song with pictures of what appears to be a Spanish inspired town. Warm tones, desert vibes, and desolation are prominent throughout, leaving fans up for interpretation. 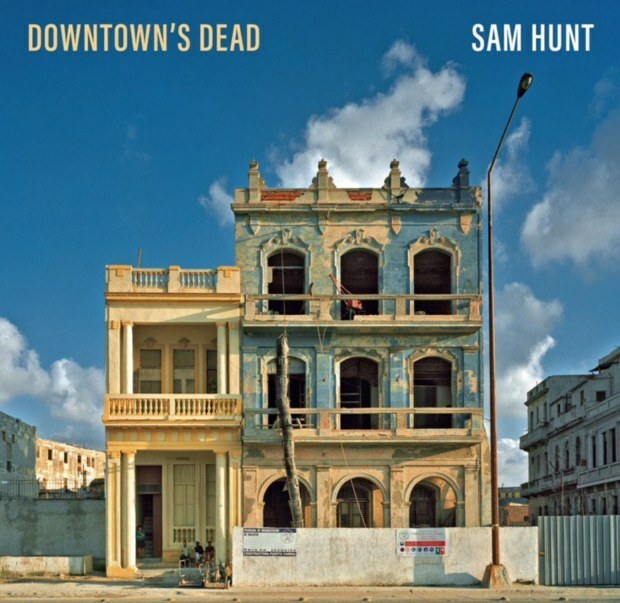 ‘Downtown’s Dead’ is written by Hunt, Shane McAnally, Zach Crowell, and Josh Osborne – the same team that co-wrote his Grammy-nominated ‘Body Like A Back Road’ and much of his album ‘Montevallo.’ It’s safe to say this band of writers work well with Hunt and continue to produce chart-toppers. And we can predict this new single will follow suit. Sam Hunt released this new single just in time for summer – which will be an automatic download and playlist appearance after just once listen. The chorus is hauntingly catchy and the flow of the music will make you want to put it on repeat, without even realizing. You can see Sam Hunt perform this new song live at his two stops in New England this summer: June 29th at the Xfinity Theatre in Hartford, CT and on July 6th at Fenway Park in Boston, MA. This entry was posted in Home page blog, Reviews and tagged #DowntownsDead, #MckenzieNECM, #NewEnglandCountryMusic, #NewSingle, #SamHunt, #SingleReview, NECM on May 17, 2018 by MckenzieNECM. Kenny Chesney is back y’all… ‘No Shoes Nation’ are you ready?! And with less than 75 days until summer officially arrives, it’s the perfect way to start setting the mood for the sunshine. Let’s be honest, when we think of summer, we immediately think of Mr. Chesney himself. In Kenny’s first release of 2018, fans are brought the typical beachy tones and guitar riffs that encompass ‘No Shoes Nation.’ Over the course of his 15 year career, Chesney has established his place in the country music industry. He has created his own genre of country that has hints of a little Jimmy Buffett, Zac Brown Band, David Lee Murphy, and of course, lots of Kenny Chesney! Along with setting the vibe of his music, Chesney also likes to add underlying lessons of morality, humility, love, respect, and carefree living. His new single ‘Get Along’ is nothing shy of what fans would expect from the summertime king. The single follows suit of Kenny’s song library with strong guitars cutting through the noise and a positive beat you can tap to. However, the whole song is set up as a call and response with a tribal, campfire feeling to it. Some can even say it resembles a little bit of John Mellencamp and older rock songs of that nature – I mean, Jack and Diane are a staple in country music history and apart of Kenny’s repertoire. In a world that is rampant with cruelty, massacres, and lack of attention and love, Chesney is contributing his music for people as a way to express themselves and escape from the harshness of whatever they’re facing. ‘Get Along’ was not intended to be a “message” song based on the state of the world, but as a way to find peace amongst it all. However, subconsciously, the writers ended up gravitating towards something of that manner because it was a topic that was in their hearts. In this single, Chesney provides a lighthearted depiction of remembering to remain modest, and to always be kind. At the end of the day, we are all human and we will all end up in the same place once everything is all said and done. Be kind! Have a beer! Give a smile! Lend a hand! Love everyday! The best part about this single is the fact that it is the first song off of Chesney’s new album! Yes you read that correctly, his new album! With no set release date and no details other than that it is said to be his most personal album to date, fans will have to hang on, for now. New England is preparing for Kenny’s visit in August on his 2018 Trip Around the Sun Tour, which, of course, is ending in typical fashion at the famous Gillette Stadium. We can’t wait to see you Kenny, and thank you for the new single to hold us over until then! Favorite Lyrics: A man wearin’ a t-shirt, says “Virginia is for lovers” had a Bible in his left hand and a bottle in the other. He says ‘All you’re really given is the sunshine and your name.’ We both started laughin’ when the sky started to rain. 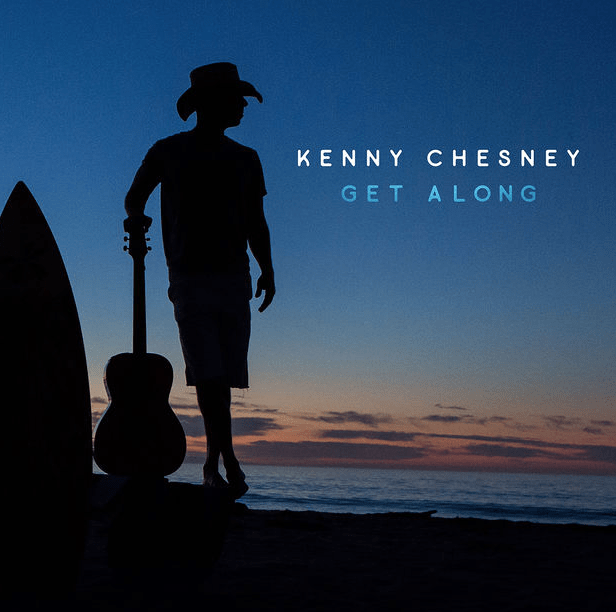 This entry was posted in Home page blog, Reviews and tagged #GetAlong, #KennyChesney, #NewEnglandCountryMusic, #NewSingle, #SingleReview, #Summer, NECM on April 11, 2018 by MckenzieNECM. The wait is over! 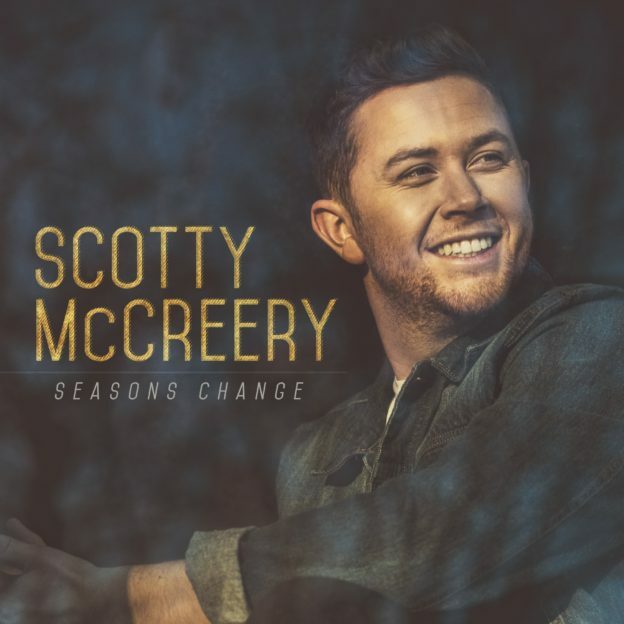 Scotty McCreery has finally released his album ‘Seasons Change’ (on March 16th) – his first album in nearly five years. McCreery is a co-writer on the entire album, which is something he was very excited about. When we spoke to him last May, he shed some insight on what was to become ‘Seasons Change.’ “I think it makes it more personal and makes it sound like what I like my music to sound like. 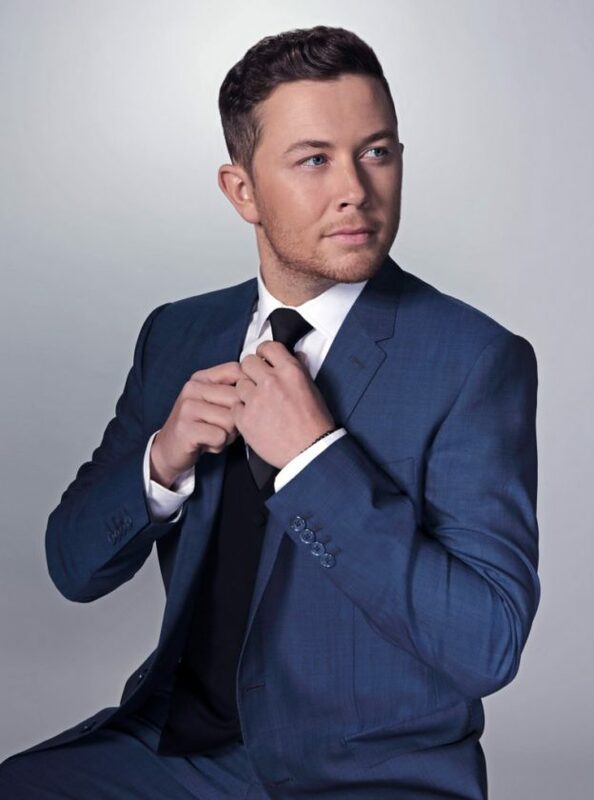 There’s something different about writing a song yourself,” he said, “It’s about what you were thinking that day and you write it the way you want it to be written.” With many of the same co-writers, there is much fluidity throughout Scotty’s stories. The entire album tells the narrative of his life, piece by piece. Impression: The album opens with the sound of rain and thunder, with a muffled radio playing Scotty’s voice in the background – what a way to grab the attention of your audience with the first track! The title track is a definite summer song with happy vibes and riffs. The song defines getting over the obstacles in life just as quickly as the seasons change. Even when you think you can’t get make it through, just remember seasons change, and so do hard times. This song is a testament to all the big changes Scotty has endured over the course of his career, and he is embracing every one of them, just like he does when the seasons change. Impression: McCreery shows off some of his higher notes in ‘Wherever You Are.’ Yearning to be with the one you love and doing whatever it takes to do so is the main theme of this song. Another lighthearted melody with the usual catchy Scotty lyrics. Favorite Lyrics: Enough of this damn being apart. I’ll fill up a tank or buy me a ticket, whatever it takes you know I’m with it. Impression: ‘Boys From Back Home’ pays homage to McCreery’s friends and hometown activities. With many similarities to Kenny Chesney’s ‘I Go Back,’ the writers of this song hit home with reminiscing on the good times you had with your friends. This song is a classic McCreery song and gets you hooked within the first 30 seconds of listening. Impression: ‘In Between’ could possibly be Scotty’s way of describing himself. He’s “a little bit of ball cap, little bit of pearl snap button down shirt” or between a “Friday night wild and quiet Sunday morning, between done after one and keep on pouring.” Rocking guitars take hold of this song, with a small intermission that you can drum to. Favorite Lyrics: I can see your pretty eyes reading me like a map, wondering who I am and where I’m at. Impression: ‘This Is It’ is one of the cutest songs by Scotty. This song paints the journey McCreery and his girlfriend, Gabi Dugal, went on during his proposal to her. It tells the story from his perspective and serves as a reflection of that moment and all the ones leading up to it. This is the classic Scotty that girls swoon over him for. Impression: ‘Wrong Again’ is quite possibly the best song of the album. Assuming it is telling the story of how McCreery and his long-time girlfriend met – he thought it would never turn into anything serious, but here she is still sitting there with her hand in his. With short and simple verses and long catchy choruses, this song is undeniably catchy and, as a disclaimer, listeners should be warned that it will get stuck in their head after the first listen! Impression: ‘Move It On Out’ resembles much of Scotty’s earlier days and his single ‘Feelin’ It.’ With the same kind of tempo, rhythm, and syntax of the lyrics, you get the same chillin’ it vibe. This single is about feeling the bliss of starting a new chapter of your life. Favorite Lyrics: Summertime’s a wastin. Girl, grab your things and let’s fire up the truck. You got me dying to see what’s hiding underneath that damned old cover-up. Impression: Twangy, old, country guitars accompanied with brass horns introduce Scotty through the noise with his low baritone on what appears to be a 90s styled track. ‘Barefootin’ brings you to a moonlit and fire light beach scene in your mind of two people dancing barefoot to this song. It’s very light, carefree, simple and easy. Another great song of this album. Impression: Track 10 is about treasuring the moment of finding your soulmate. Fans are used to slow Scotty love songs, however, this one will most definitely catch the heart and ears of many with its twist sonically. With a much more swaying tone and beat, McCreery’s lyrics will be hook-line-and-sinker for its listeners. ‘Still’ has a way of cutting deep into the souls of the listeners and will for sure be wedding song in the near future. Favorite Lyrics: Every day changes but it doesn’t change the way you make me smile when you say my name. And when you laugh, it makes me laugh. And when you cry, it makes me cry. Yeah like it did back then, when we were just beginning, and girl it always will. I want you, I need you, still. Impression: The final track of the album dives into the bittersweet feeling of being homesick while on this crazy journey called life. For Scotty, it is being out on the road pursuing his dream. However, he may be 1,000 miles away from where he wants to be, the images in his mind help him cope with whatever he’s feeling and provides him relief. For all you McCreerians that have been waiting for this release, it’s finally here! Y’all need to check out the new and improved, and matured sound of Scotty McCreery on his album that retraces his steps through life and the big changes he has undergone. It has multiple tracks that can be potential future releases. If you’re big into storytelling albums, then this one is for you. Welcome back, Scotty. We missed you! You can purchase ‘Seasons Change’ on iTunes here. This entry was posted in Home page blog, Reviews and tagged #'SeasonsChange', #AlbumReview, #FiveMoreMinutes, #MckenzieNECM, #NewEnglandCountryMusic, #ScottyMcCreery, NECM on March 22, 2018 by MckenzieNECM. The single is a classic Scotty song all the way from the sound with his southern draw to the song writing. The single was written by McCreery, Frank Rogers and Aaron Eshuis and is featured on his new album ‘Seasons Change,’ which was released March 16th. ‘This Is It’ is a song that paints the journey McCreery and his girlfriend went on during his proposal to her. It tells the story from his perspective and serves as a reflection of that moment. The song starts with the image of being up 4,000 miles high in the Carolina mountains, and how he was surprising his girlfriend with this hike up the mountain. The end location was when she could open her eyes and take it all in and think “this is it.” As the single continues, the second verse says how he knows his girlfriend has been waiting for this moment, and talking to her friends about when it will happen and why it hasn’t yet. But, what she doesn’t know is that he has been waiting too, holding on to the ring for the right moment paired with the right words to say. For a little background, Scotty proposed to Gabi in September 2017 on the top of a beautiful mountain top in North Carolina. When she thought her “this is it” moment was going to be the view, she was wrong. It was Scotty finally proposing to her! If you love-bird country music fans haven’t heard this song yet, you need to listen to it immediately. It will make your heart ache with love in the best way possible. For those of you who aren’t so in to the lovey-dovey stuff, then you should still give it a listen as this is still great artistry on McCreery’s behalf. If this is a sneak peek into his new album, then we’re pretty excited for what else he has in store. This entry was posted in Home page blog, Reviews and tagged #'SeasonsChange', #'ThisIsIt', #NewEnglandCountryMusic, #NewSingle, #ScottyMcCreery, NECM on March 20, 2018 by MckenzieNECM.